PennsylvAsia: This year's trend replaces 2015's at Ross Park Mall. This year's trend replaces 2015's at Ross Park Mall. Icy Roll 2.0 just before it opened last month. 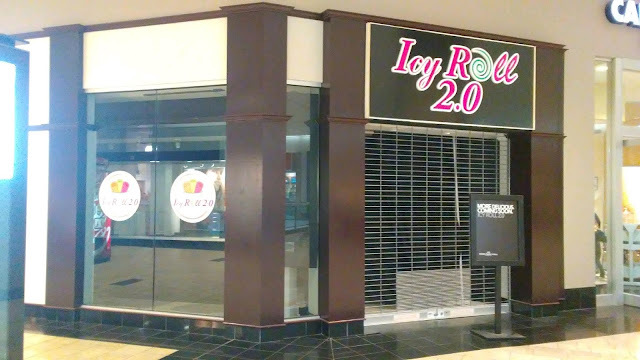 Icy Roll 2.0 recently opened in Ross Park Mall, replacing a bubble tea place next to the Sears on the second floor. Thai-styled rolled ice cream places have opened everywhere in Pittsburgh over the past year, from the suburbs to the inside of a hot-pot place to a gas station in Bloomfield. Squirrel Hill is getting its first sometime next year when the newest 15 Fahrenheit location opens. This is in contrast to 2014 and 2015, when an Asian eatery couldn't operate in the city without sticking bubble tea somewhere on the menu.